Au pairing: not all it’s cracked up to be! 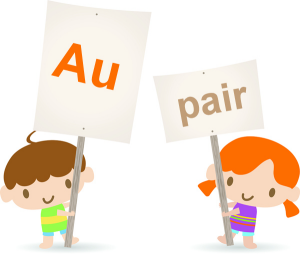 Ruth O’Dwyer sets out some of the key things to take into consideration before deciding to work as an au pair. 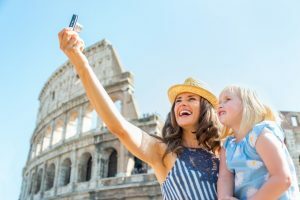 Have you ever considered working as an au pair for the summer in order to improve your fluency in a particular language, or maybe just to gain some experience living in a foreign country? Well, before you start making any set-in-stone plans, I highly advise you to think carefully about whether au pairing is right for you or not. I myself had a rather unpleasant au pairing experience over the summer, and I wouldn’t wish anyone else to go through a similar one. 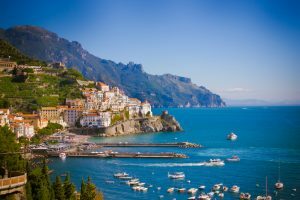 My best friend and I decided to travel to Italy, mainly because we both wanted some sort of sun holiday, and au pairing would mean we could earn some money too, so it was a seemingly win-win situation. We realised soon enough, though, that it was very far from the ideal vision that we imagined. Don’t get me wrong, there were perks to be gained from being an au pair too: for example, the incredible Mediterranean weather! We were basking ourselves in 30 degrees most days and had daily access to a beautiful beach too. By the end of the time I spent living there, I can safely say I had been immersed in the ever-so-different Italian culture. 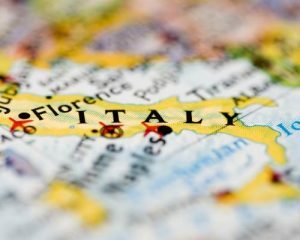 Moreover, working as an Au Pair doesn’t just involve teaching English to children, but it also offers a chance for one to learn a new language and perhaps develop a love for that same language in a way, as I did for Italian. So it is clear that there are several advantages of an au pair life, but I would say that the number and value of these advantages is different for everyone. I regret to say that the cons definitely outweighed the pros in my case, as they often do with with these things. My number one tip would be to make sure that you go through a legitimate au pair agency, so that you can have some peace of mind that the family you will be living with and working for is genuine and trustworthy. We naively made the stupid mistake of finding our families through online means, which is most certainly not the right and safe way to do it at all. I know it seems like less hassle to get in contact with a family via email and a Skype interview than to use an agency, but trust me, your experience working abroad will be so much more enjoyable doing it the latter way. Look at it like this: the au pair agency will know the families offering to employ an au pair very, very well and they can help you with any queries you may have. They will also sort out any problems that you are having while working abroad, so you don’t have to deal with the families on your own, like my friend and I had to do — an experience which was incredibly stressful and exhausting. In our case, problems arose because the families that we were staying with were prone to being underhanded, and they consistently verbally abused us, particularly my best friend. But the worst thing about it was that there was no one there who could help us to improve the situation, and we ended up returning home at an earlier date than the one we had planned. You can’t choose your family at home, but you can choose this one, so please do it wisely! Another point to consider is that generally the money isn’t great for au pair work. I had a pretty good idea that this would be the case before leaving so I was somewhat prepared for it, but if you are someone who wants a well-paid summer job, then I wouldn’t think twice about becoming an au pair. It’s really important to confirm – in writing – your working hours and weekly wage with your host family, so that you know exactly what to expect and will be able to keep track of whether or not they are sticking to the agreed schedule. In the event that they start taking the piss out of you, stand up for yourself and make them aware that you know both your entitlements and your responsibilities (in a civilised, calm way, of course!) This may involve reiterating your declared weekly working hours, because you are likely to be roped into doing many more hours than you would otherwise be happy with. Lastly, I should mention that I wouldn’t recommend au pair work as an option for someone who gets easily bored, or who constantly needs a challenge or the chance to learn new skills, as being au pair is often very, very repetitive. In conclusion, I have three key points of advice for someone considering au pairing: weigh up your own personal pros and cons when you first consider it; ensure you go through a legitimate agency if you choose to go ahead; and be prepared to stand up for your rights when the going gets tough — something true of all lines of work, I think! Next Next post: Slenderman: What game will you be playing this Halloween?